They refused to be cowed down, or quit. Emerged champions-- and history was writ! but weren't we expected to win? any better than the earlier green? 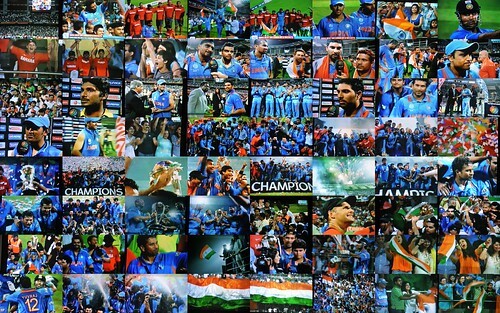 Lovely collage this be and yes they did make us v v v proud! some to 'special someone'and shy about it! hey dude check this site . I think you will find it helpful as it is encouraging writers. They are big champions forever. wonderful blog. Nice work. Congratulations! !